...and an unfeasibly large ice cream. 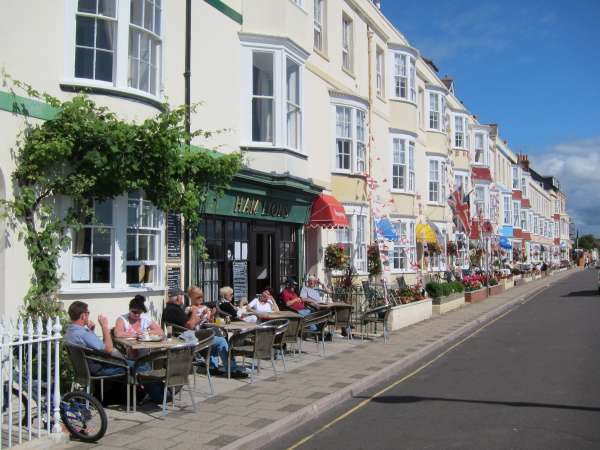 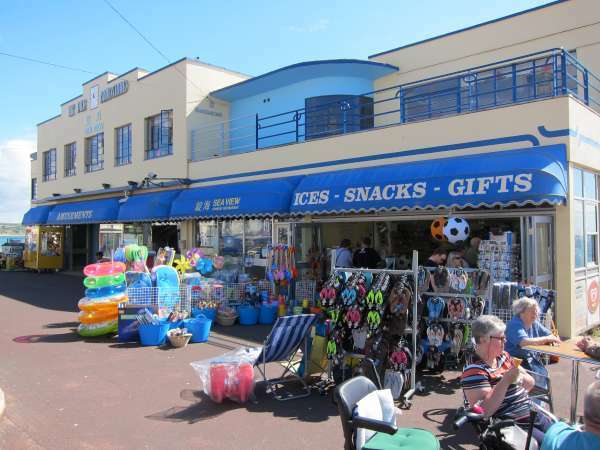 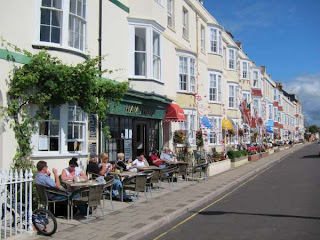 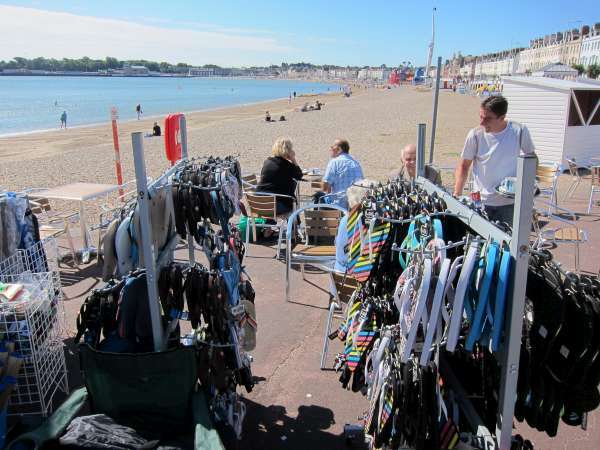 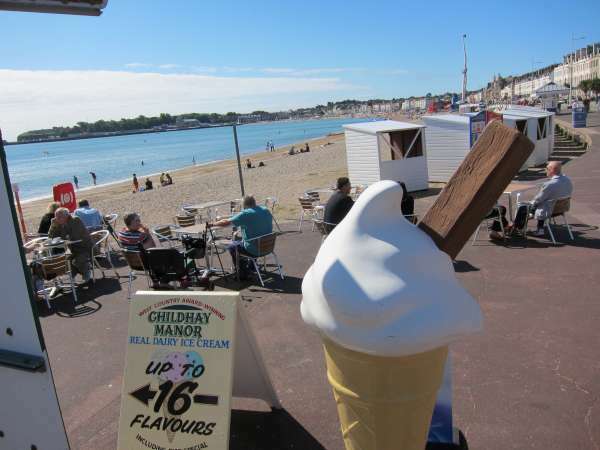 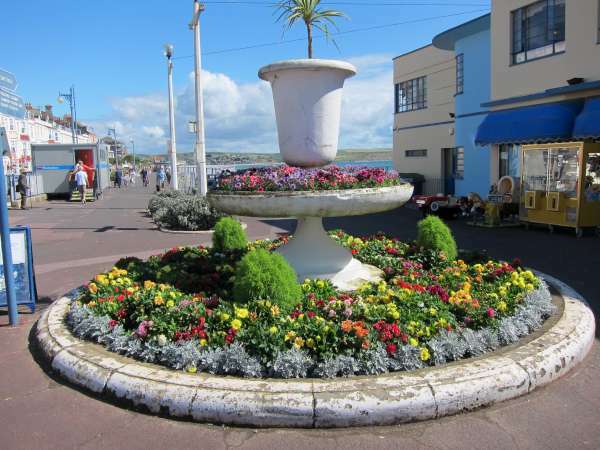 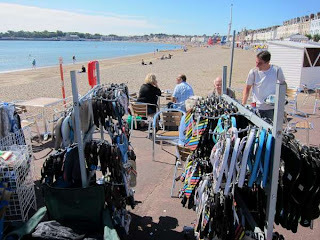 Weymouth looks like many English seaside resorts with little hotels, pubs and boarding houses ('within easy reach of the sea') proliferating. 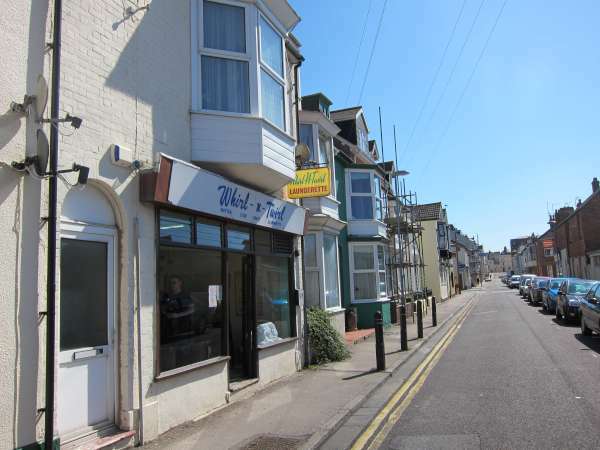 ...with added Chinese restaurant appeal to entice the peckinsh punter. 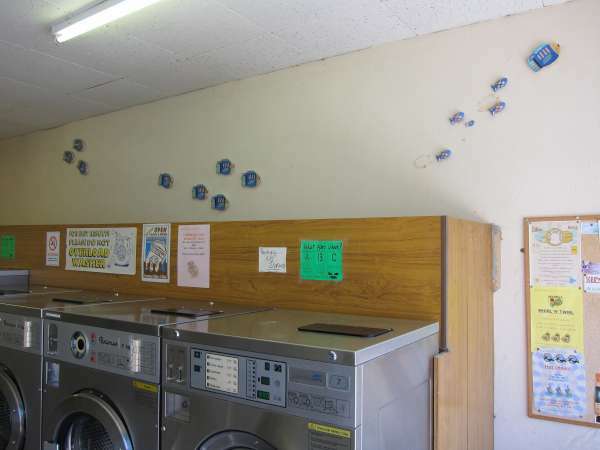 Round the side is the tradesmen's entrance. 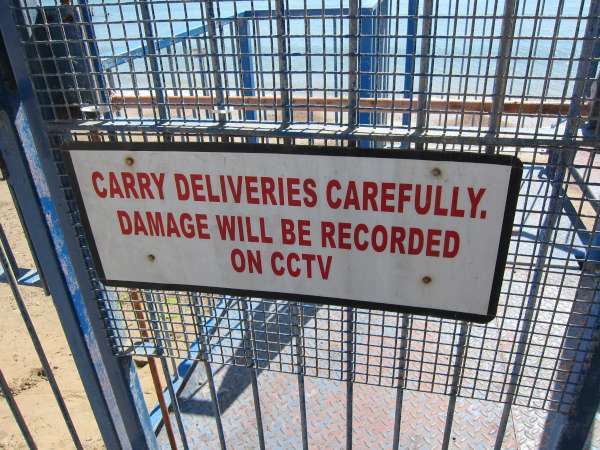 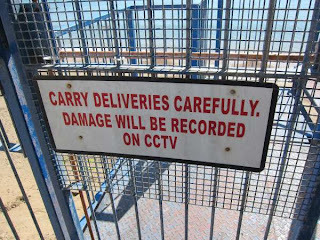 They appear to have had some problems with stuff getting broken when being delivered and have taken high-tech precautions to prevent claims that they broke it themselves. 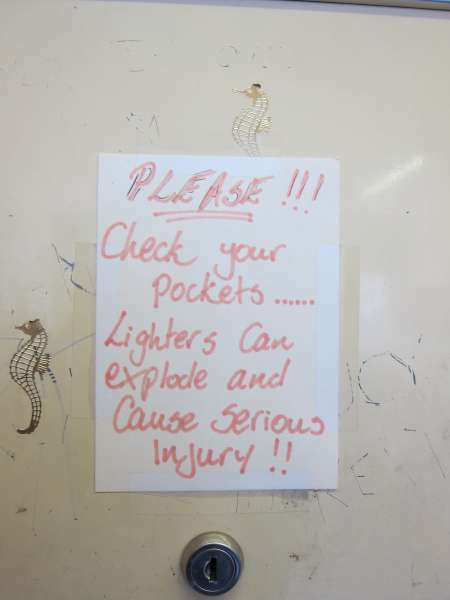 It seems a little paranoid to me, but then I do not own a gift shop (or a Chinese restaurant). 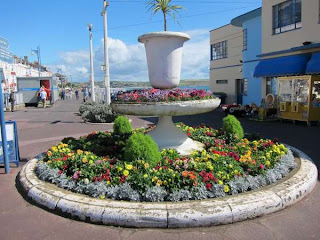 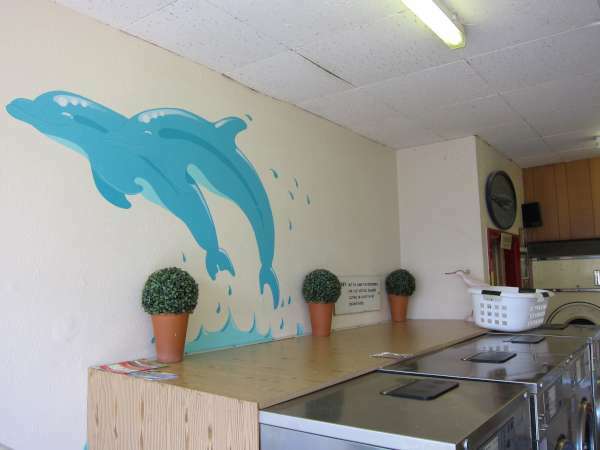 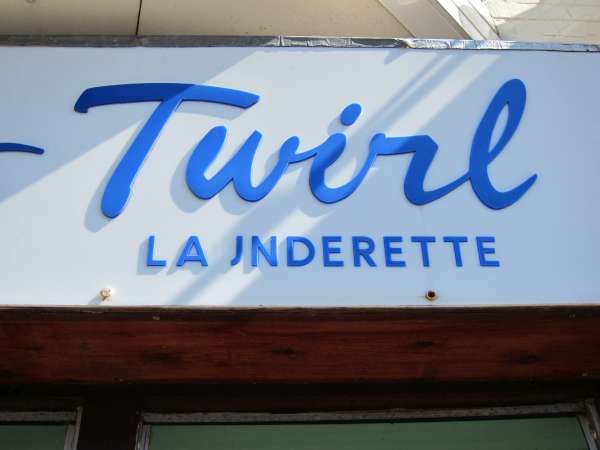 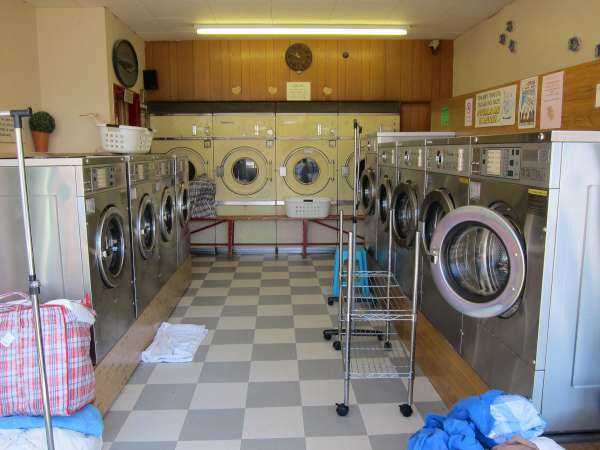 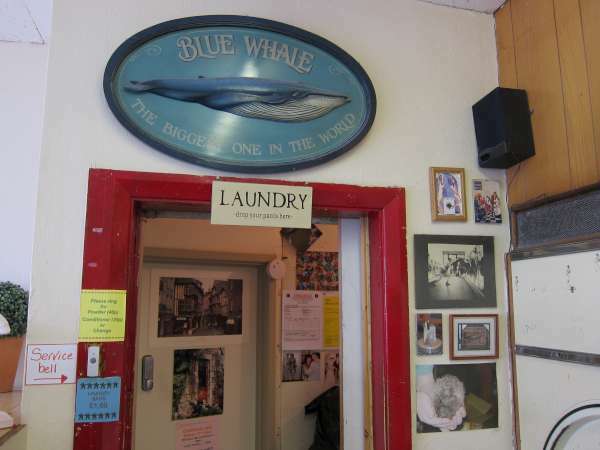 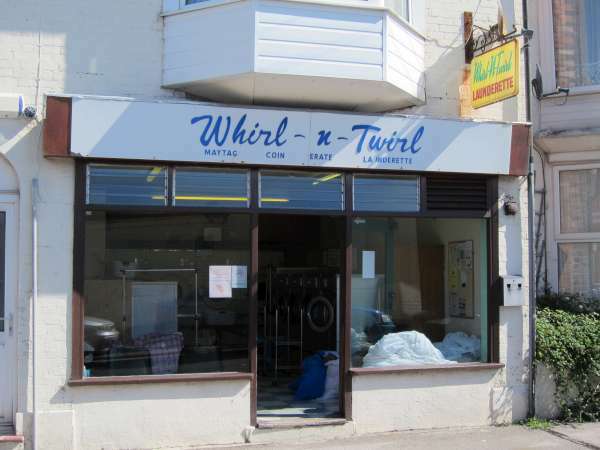 Weymouth is also home to the Twirl n Whirl launderette. I would not be surprised to hear that Launderette™ has sued some establishments for huge sums infringement of copyright - took them to the cleaners, as it were - so they changed the spelling. Anyway, the T&W is much like any other coin-operated fabric washing service (no duvets or dyeing please) and includes those little bits of personalisation that differentiate independents from fast food outlets and the other ubiquitous chains which make out high streets so confusingly similar. There are times when I don’t know where I am until I pass a sign saying “Thank You for visiting [name of town]” on the way out. OK, whales and dolphins are not fish, but you get the idea. 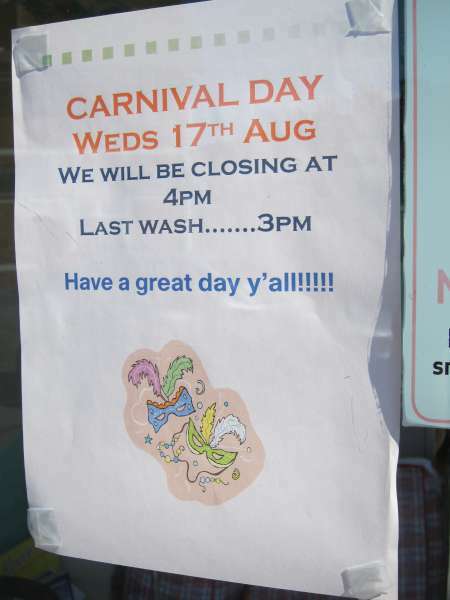 Which is all very considerate except maybe for the odd passing clown, who, having spilled jelly down his trousers while entertaining carnival crowds, is looking to clean up before his next gig. It wasn’t carnival day when I was there so this is just a hypothesis.